Even 27 years after the fall of the Berlin Wall, there are discernible differences between the two Germanys—for example when it comes to football. Former East German clubs that once enjoyed international success have been playing for decades in the lower divisions of the German football league. The reasons for that run the gamut from lack of investment to conspiracy theories about West Germans wanting to sink East German football. Among all the teams from the former East Germany, there’s one that the DFB (Deutscher Fußball Bund) just loves to hate but that I happen to love: Dynamo Dresden. 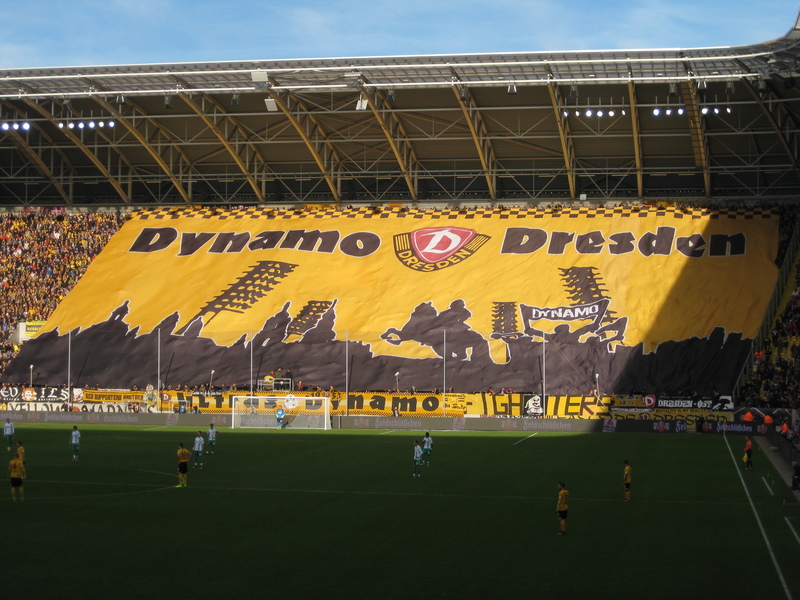 If you don’t live in Germany you might have not heard about Dynamo Dresden before. If you do, you might have heard about the club because of their fans—even if you don’t like football. 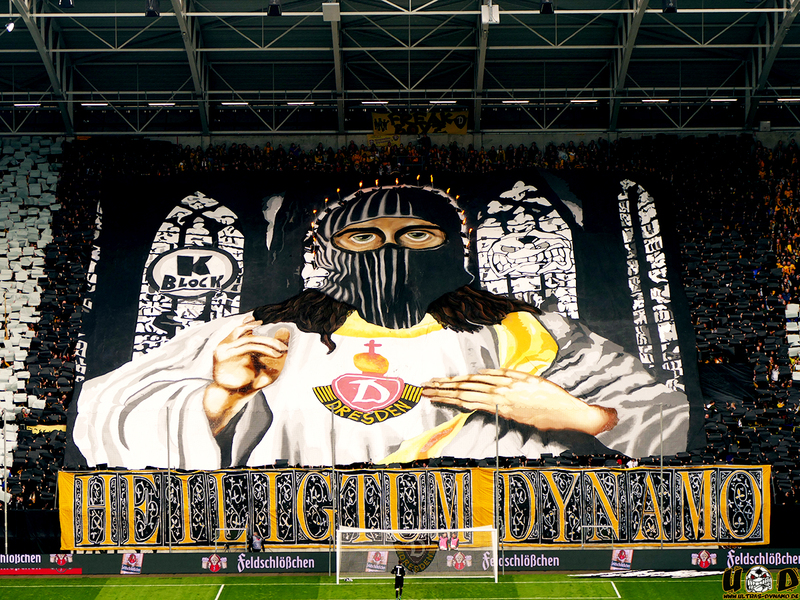 Dynamo Dresden has one of the most loyal and creative fan bases in Germany, and is also known as one of the hardest and most passionate in Europe. 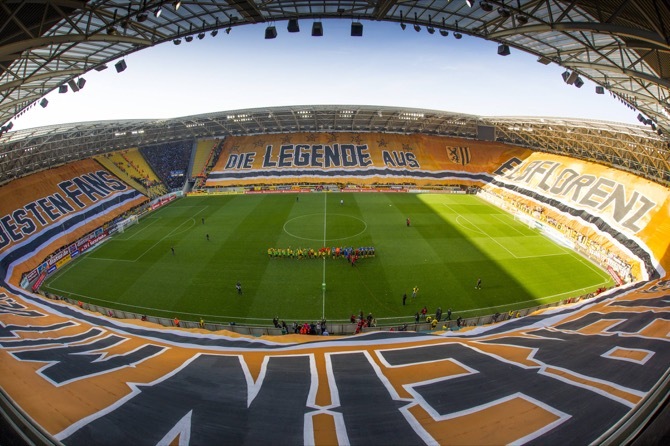 Just last year, Dynamo Dresden ascended (again) to the second Bundesliga—yet during their stint in the third division they held the highest attendance average in all of Europe, with over 27,000 fans per game turning the DDV stadium into a proper Hexenkessel (German football slang for Lion’s Den). 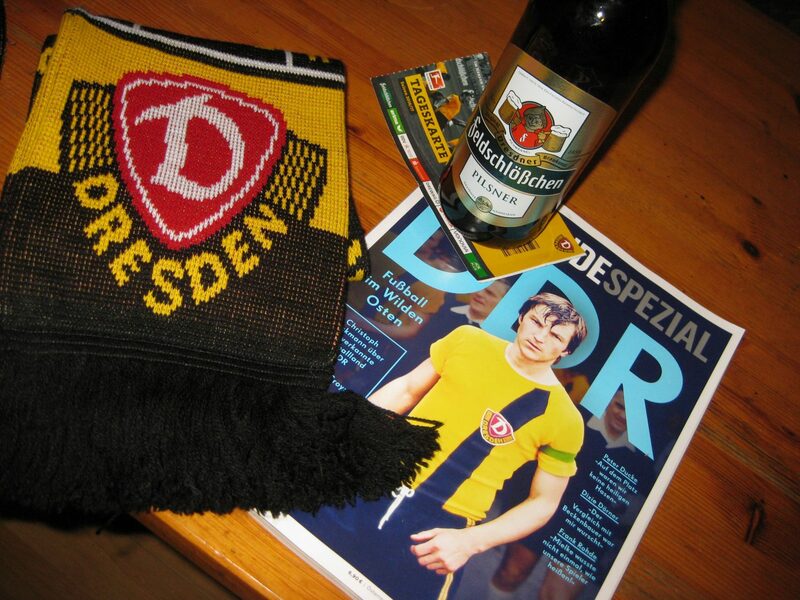 Dynamo Dresden is a true East German institution. Now, does the name Dynamo sound familiar to you? That’s because there are many clubs that carry that name all over the former Communist East: Moscow, Tbilisi, České Budejovice, Minsk, Bucharest, Tallinn, Kiev, to name only a few. Also in the former East Germany, Dresden was not the only Dynamo club: Fürstenwalde, Schwerin, Gera, Hohenschönhausen, Frankfurt (Oder), and Berlin, among others, all had Dynamo clubs. Dynamo Dresden was established in 1953 and won the East German league that same year, but it was not until the late 1960s that the team established itself as a true competitor in the Oberliga. Dynamo went through a rough patch due to the intervention of Erich Mielke, who headed the infamous Stasi (the East German Secret Police). 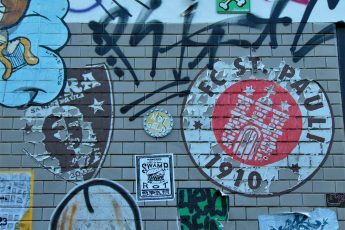 Mielke wanted a Dynamo club in Berlin, and thus had the whole team from Dresden relocated to the capital and renamed SC Dynamo Berlin. This did great damage to the club in Dresden, which was relegated from one league to the next, only to come back up and then go back down. 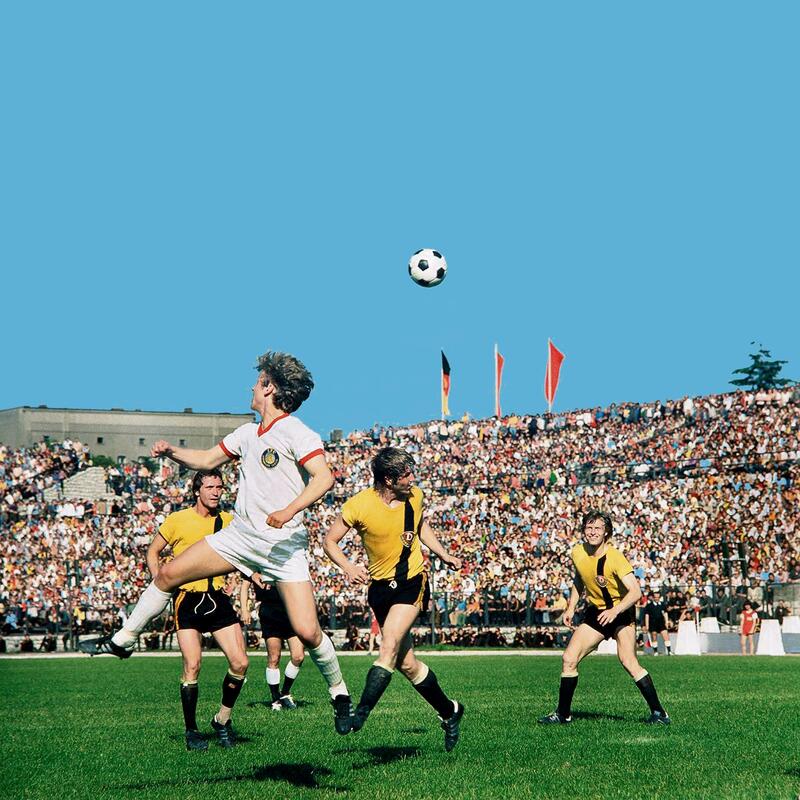 After playing for over a decade in the lower East German leagues, Dynamo Dresden came back up to the first division to dominate the league in the 70s, enjoying success both domestically and internationally. 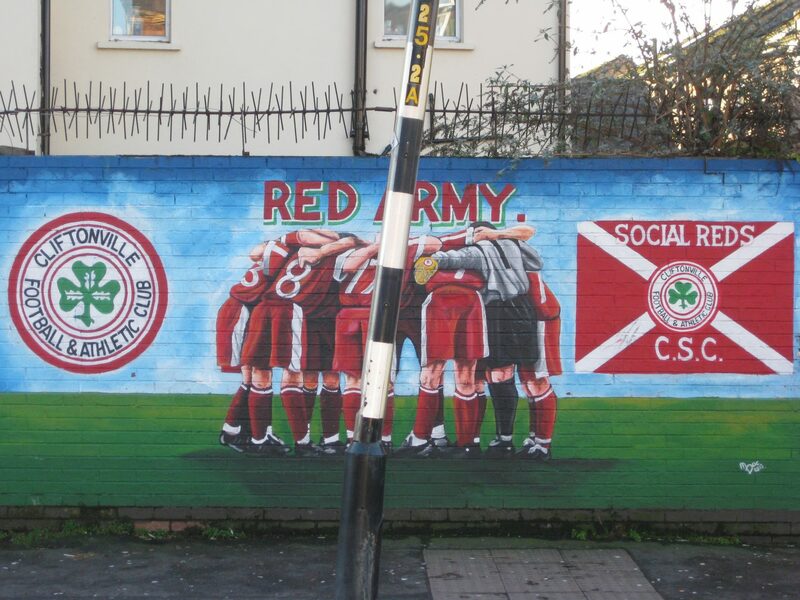 After German Reunification, most Dynamo clubs were dissolved. 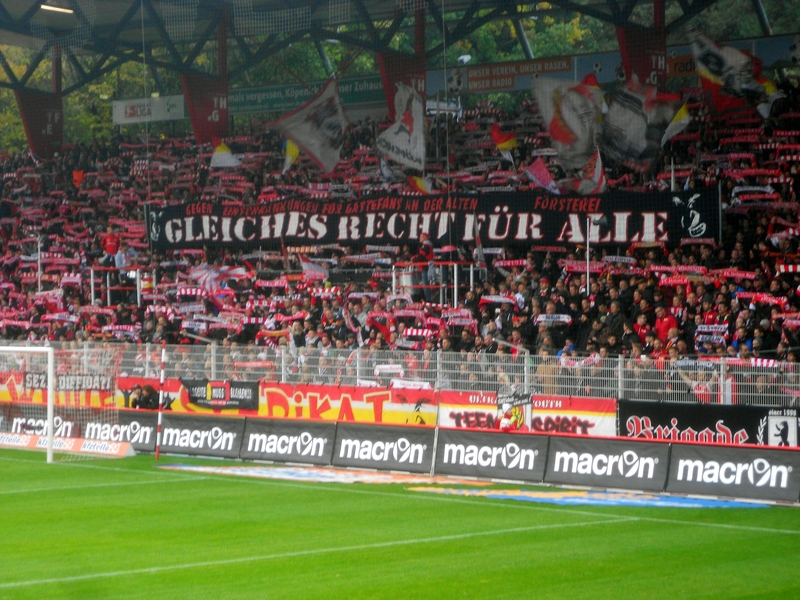 Dynamo Berlin crashed and never recovered, and now plays in the lower regional divisions. Dynamo Dresden is however still around and rocking the second German division. 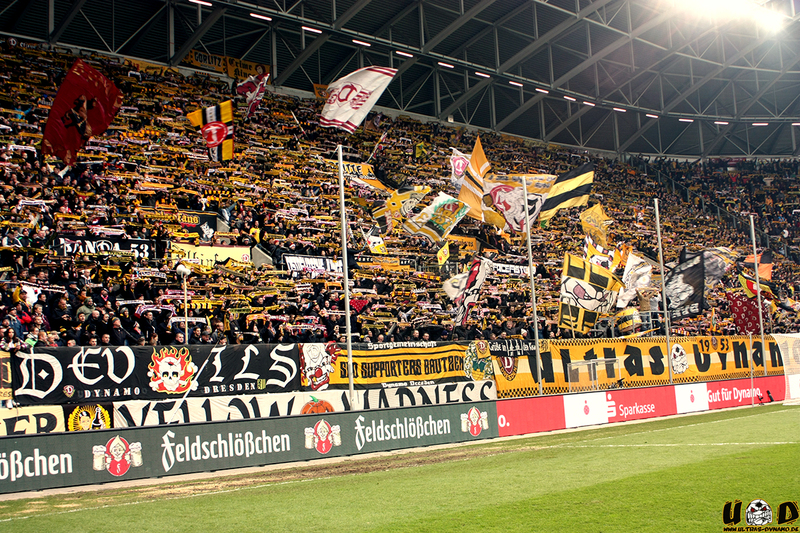 Just today, Dynamo Dresden played in Munich against TSV 1860, and was accompanied by a crowd of over 20,000 fans! I myself noticed Dynamo Dresden shortly after moving to Germany. In 2011, Dresden played against Bayer Leverkusen: David versus Goliath. After the first 45 minutes, Dresden was down 3:0—only to come back and win the game 4:3. I was sold after that. I liked the fighting spirit of the club and the unconditional support of the Ultras Dynamo. Yet I never had the chance to go to a match due to living rather far from Dresden at that time and being perpetually broke—basically due to being a foreign student in Heidelberg. That changed now that I live in Berlin and have a full time job. This month, I went to Dresden twice to finally witness the electric atmosphere at the DDV stadium. However, just before my trip to the Florence of the Elbe, the DFB announced that, due to the incidents in the match against RB Leipzig, Dynamo would be fined 60,000 EUR and the K-Block would remain closed for the following game—which I had tickets to. Luckily, Dynamo disputed the disproportionate punishment, and I was able to go to the stadium two weekends in a row. Dresden is a beautiful city too, but you can read about that in a separate article. 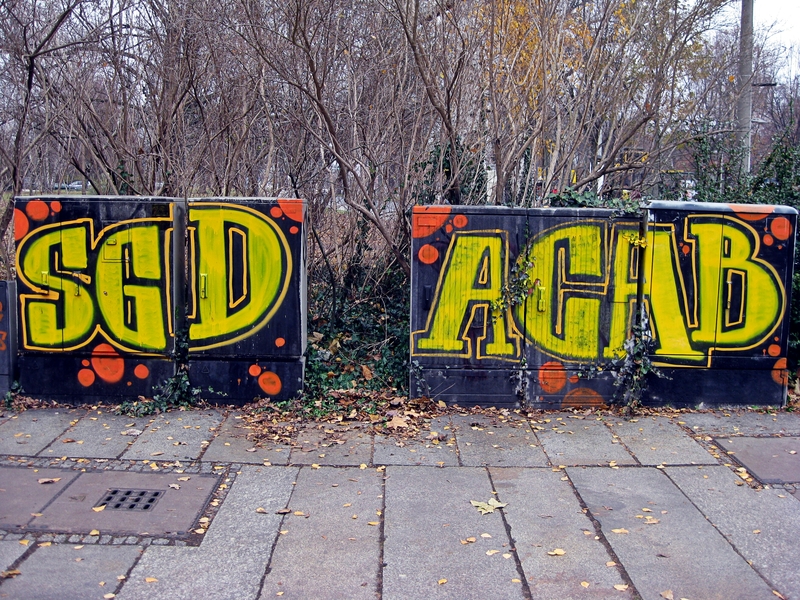 What you will notice when you go is A LOT of Dynamo graffiti. It’s seriously everywhere. 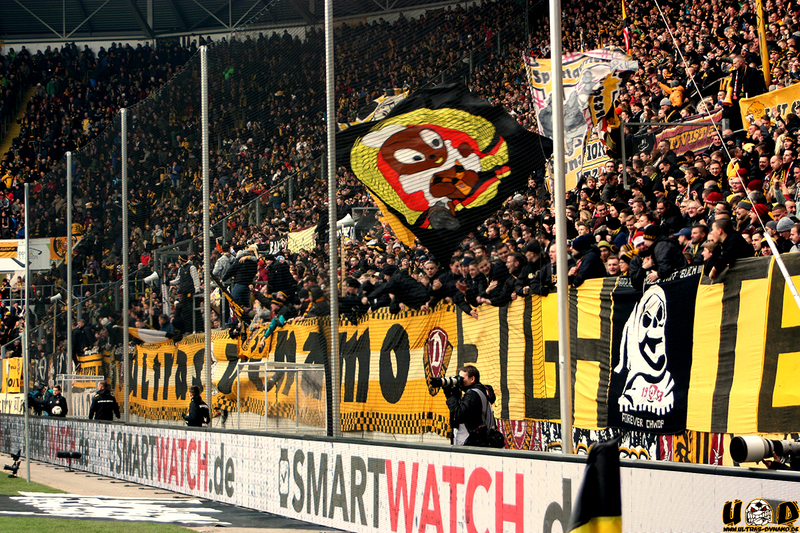 Unfortunately (and unfairly), Dynamo Dresden is more often than not thought of in negative terms: Like many other German clubs, Dynamo Dresden has also seen incidents of hooliganism and racism in the past. However, even though this problem is by no means exclusive to Dresden, Dynamo’s image has suffered a disproportionate amount of damage as opposed to that of, say, Borussia Dortmund. This is also partly due to some very biased and disproportionately unfavorable media coverage. Still, Dynamo Dresden has worked actively to combat this reputation, with initiatives such as wearing special edition jerseys with the motto “Love Dynamo, Hate Racism”—which is the slogan of 1953international, an anti-racist fan initiative. 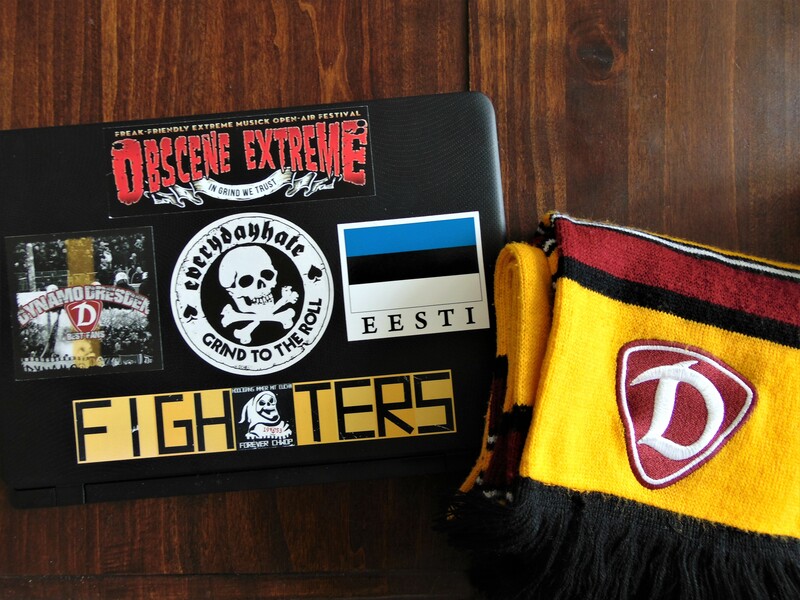 Likewise, the Ultras of Dynamo Dresden have a long-standing friendship with the Ultras of FK Sarajevo from Bosnia, a non-German, Muslim country—which doesn’t suggest widespread intolerance. How does that affect me? 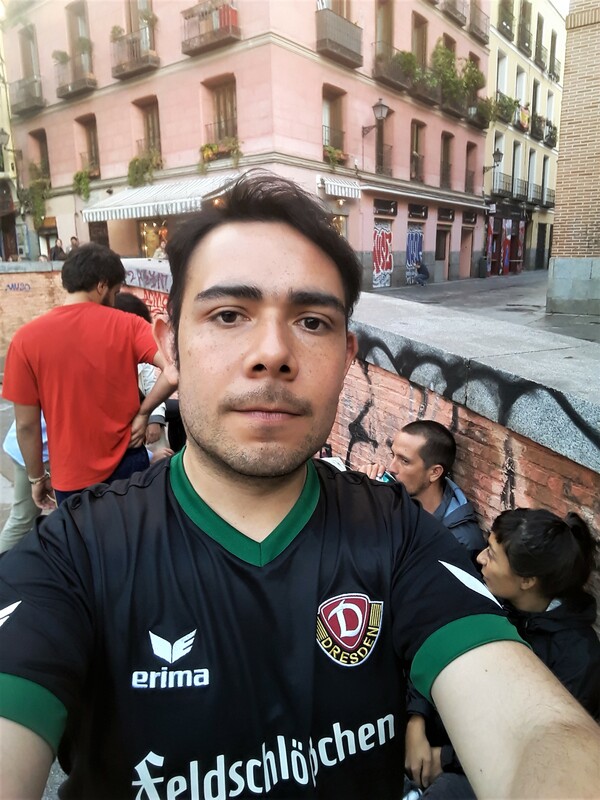 People often look at me sideways when I say I support Dynamo Dresden—and almost always follow with the observation “but you’re Mexican.” I for one did not feel unsafe in the K-Block, nor did I see, hear, or experience anything that could’ve made me feel unwelcome because I’m a foreigner. 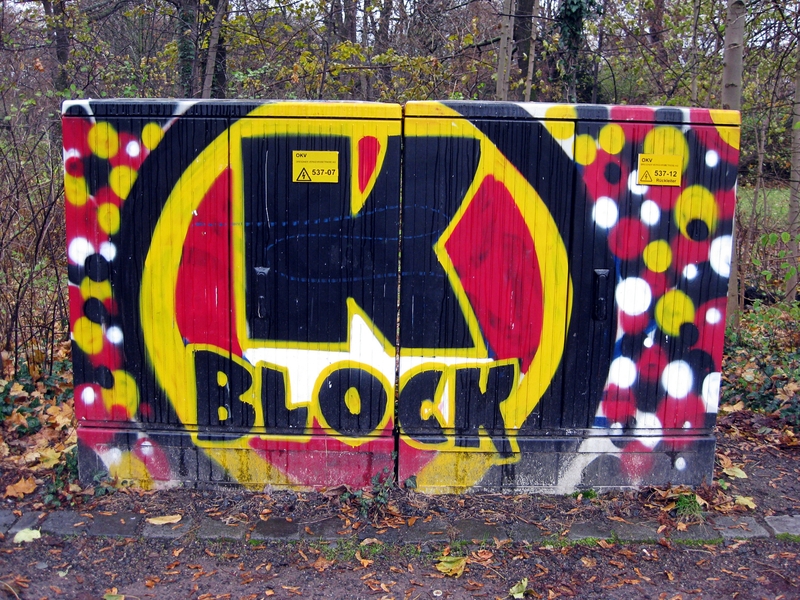 Beyond the amazing football experience, my visit to the K-Block was an experiment in cultural immersion. Germans from the former East and West talk about “Wessis” and “Ossis” in a despective manner. However, the fans of Dynamo Dresden embrace their provenance as Kinder der Wende, with chants such as “Weisst ihr wo ich wohne? Ich wohne in der Zone!” (Do you know where I live? I live in “the Zone.” Zone in this case refers to the former East Germany.) This song is popular among East German clubs, but is widely recognized to be an original Dynamo song. Another good example of Ostalgie in the K-Block is the Pittiplatsch flag. Pittiplatsch is a friendly Kobold that appeared in the Sandmännchen, a very popular TV show for children from East Germany. 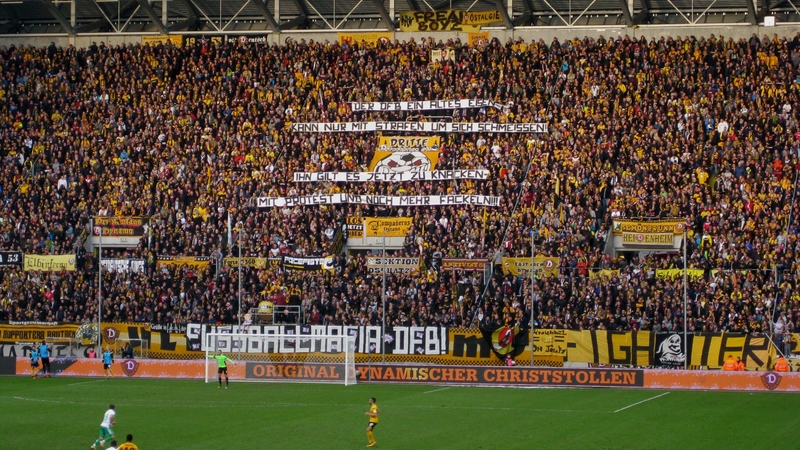 The Dresden Ultras appropriated Pittiplatsch, but the German television company that now owns the rights over the character recently disputed the usage of its image and wanted to ban the Ultras from using it as a symbol. Ultra culture is again a topic in the media—though it is often reduced to simple hooliganism. 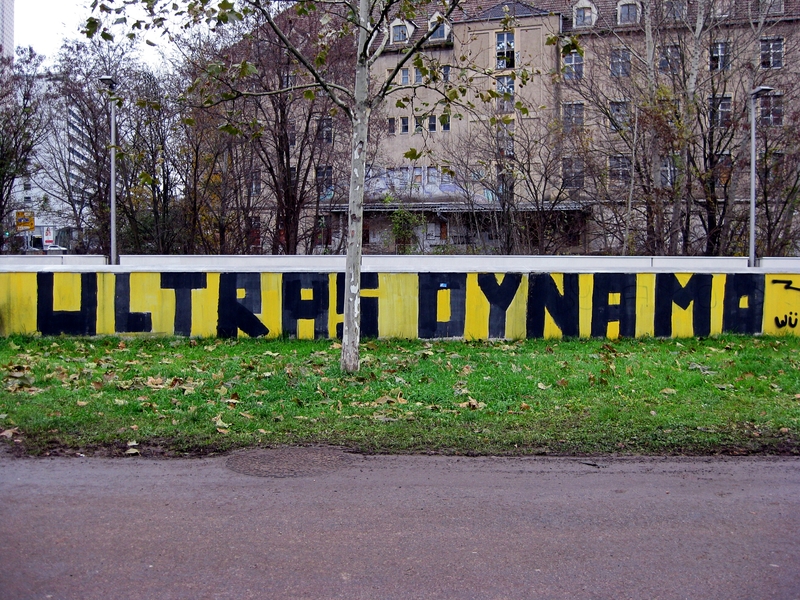 Ultra culture is much more than that, though: It’s the songs, the flags, and the tifos that make going to the stadium such a great experience, and there’s no better place in Germany for any of that than Dresden. (S)AUF DYNAMO! I hope you enjoyed the article. Please do follow me on Facebook and subscribe to help Between Distances grow. Also, don’t forget to look me up on Instagram! What was your best football experience? Was it in Germany? Share your thoughts and experiences in the comments below! See ya again in Elbflorenz! Thanks a lot! Glad you enjoyed the read. Absolutely, I’ll be back sometime this year. I just relocated to Hamburg a few weeks ago and I’m looking forward to a good away day against St. Pauli too—obviously in the Dresden end!